Mr. Nath has been appointed as an Additional Director w.e.f. October 14, 2009 in the category of Non-Executive and Independent Director. Mr. Nath, aged 64 years is an Advocate of Supreme Court of India. 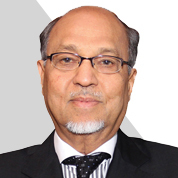 He is a Partner of one of the India's oldest legal firms Rajinder Narain & Co. He has done his B.Com (Honours), LLB, International and Competitive Laws from King's College, London, and PIL from Harvard. He did his apprentice from Sinclair Roche and Temperley, London. He brings with him rich and specialized experience in the field of Corporate and Commercial law, Asset Finance, Aviation and Cross Border issues of nearly 40 illustrious years. He has also been recognized several times by Euromoney and others as a leading lawyer in the field of Mergers & Acquisitions. He is listed in Who's Who and Legal 500. The Bar Association of India conferred its highest honour on him.